Termites are helpful creatures out in the wild, turning the pulp of dead trees into soil-enriching nutrients that encourage new growth. Of course, termites in the wild tend to avoid staying in the wild, and will gravitate toward your home if they can, craving the sweetly preserved wood that lines your home and frames your walls. Termites in residential properties can be incredibly destructive, and are responsible for causing millions of dollars of home damage every single year. Could your home be next? Could a single termite be discovering your home as you read this, signaling to their horde that your home is ready for the feasting? Worse yet, could your home already be playing host to thousands of termites, and before you know it, features of your home are ready to collapse, from your roof to the first floor's load-bearing walls? 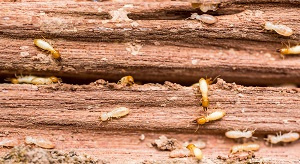 In bug-laden Middleburg, FL, the best termite treatment is prevention, and that is the first reason, among many, why you should hire pest control for seasonal termite inspections. Here are a few more good reasons to call a termite and bedbug control company near you. A liquid barrier is one of the most reliable methods for preventing insect infestations, from nasty cockroaches to hungry termites. However, these liquid barriers aren't permanent. No matter how great your pest control experts might be, there's no permanent solution to pests, especially not termites. 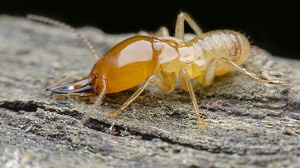 So, you should hire a seasonal termite inspection to spray vulnerable spots where liquid barriers and other pesticides have faded or become ineffective. Your home or business is a dynamic structure, and changes can invite more pest activity. For instance, if you hired a plumber to work on your sewage line or an electrician has drilled holes in your basement walls to re-wire the structure, then you've just opened up new opportunities for termites to invade. A seasonal inspection will protect newly vulnerable sites, including new wooden features like a hardwood floor, that may attract termites. You won't always know when a family of termites has moved in. While cockroaches and flies like to make their presence known, termites stay hidden within your walls or under your floorboards. A seasonal visit from a pest control expert prevents serious damage. Bedbug pest control, for instance, can detect a small number of bugs and act fast, before a full infestation kicks off. It's the same with termites. Internal termite activity has a solution, like termite baiting, the process of drawing out termites before they can cause structural damage. If an infestation is detected, pest control companies will act fast to eliminate the entire colony.